Comrade Esinrogunjo Musbau has expressed the need for a change in leadership and style of politics in Kwara State. While speaking with Journalists at his campaign office in Ilorin on Thursday, he. expressed his grievance for the way politics is centred around just one personality, in person of Senator Bukola Saraki whom he described as a far cry from his father’s style of politics. 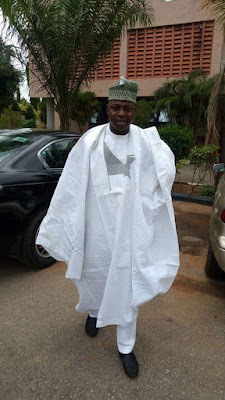 The young politician said that he openly decided to decamp to the All Progressives Congress, APC because he cannot work with people like Dr Bukola Saraki whom he described as usurper who has been part of those who limit the progress of Kwara State among other nations. He was of the opinion that even Kwara Civil servants cannot boast of any dividend of democracy under the leadership of Saraki and his political son, whom he described as a stooge being teleguided in all he does. Esinrogunjo said that his decision to move into the APC was to prove to the whole world that he was ready to beat Saraki as he had always done in past elections. Speaking on his relationship with Dr Bukola Saraki, the former student union activist now in politics said that he wil be willing to work with the Senate President if he turns a new leaf and becomes masses oriented in his approach. “I have no personal animousity against Dr. Bukola Saraki but I don’t like the way he treats the masses. The essence of seeking leadership position is for us. The budding politician also debunked insinuations that youths are lazy stressing that youths of Ilorin and Kwara as a whole are not in any way lazy but rather a victim of marginalization by the older politicians who hide under Saraki to recycle themselves and rendering the vibrant youths ineffective, unprepared for the leadership position that lie ahead of them. He added that the people of Ilorin are tired of these old politicians and their leader and that it is a new dawn for Kwarans stressing that he had served under Saraki dynasty for too long and nothing to show for it. He urged his supporters to ensure they obtain their PVC cards so as to enable them to exercise their franchise during the time of elections.